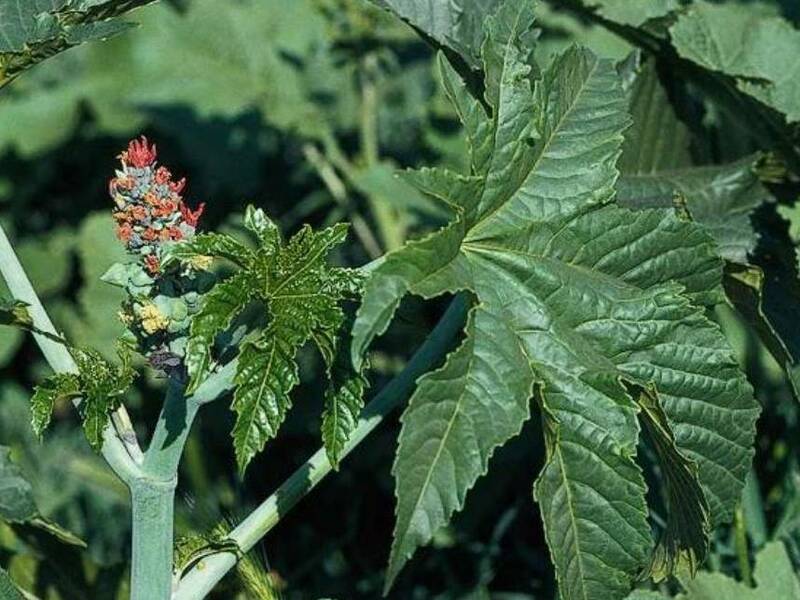 Ricinus communis (castorbean) is an herbaceous plant or semi-woody large shrub or small tree (family Euphorbiaceae). It grows quickly in mild climates and has escaped cultivation to become a noxious weed in southern and central California. Castorbean contains ricin, an extremely toxic chemical that can kill an adult who consumes only four to eight seeds. Handling foliage and seeds can cause severe dermatitis.